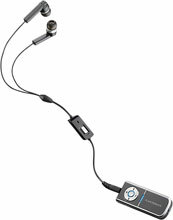 The Plantronics Pulsar 260 has been discontinued. No direct replacement is available. Let the music flow from your stereo Bluetooth enabled mobile phone and never miss a call with the Plantronics Pulsar 260 headset. As you jam to your favorite tracks, you'll never be out of touch. Catch all your incoming calls with the touch of a button and then seamlessly switch back to your music at the end of the call. The Pulsar 260 features comfortable, noise-isolating earbuds for full-range stereo sound and clear, crisp calls. The control pendant is lightweight for easy portability to match your active mobile lifestyle. Centralized controls put volume, music and track selection at your fingertips.